I only know this cos I am an avid follower of www.postsecret.com : September 10th is the annual day the world observes as World Suicide Prevention Day. Global figures seem to suggest that almost 3000 people commit suicide daily and for every person who completes a suicide, 20 or more may attempt to end their lives. It is more likely someone will die from suicide than from homicide. For every two people killed by homicide, three people die of suicide*. In Singapore, over 350 people commit suicide annually; more males than females and aging people are at the greatest risk. In China someone takes his or her own life on average every two minutes. China accounts for nearly a quarter of the global total of suicides with between 250,000 and 300,000 suicides a year*. In America, someone attempts suicide once every minute, and someone completes a suicide once every 17 minutes. Throughout the world, approximately 2,000 people kill themselves each day*. 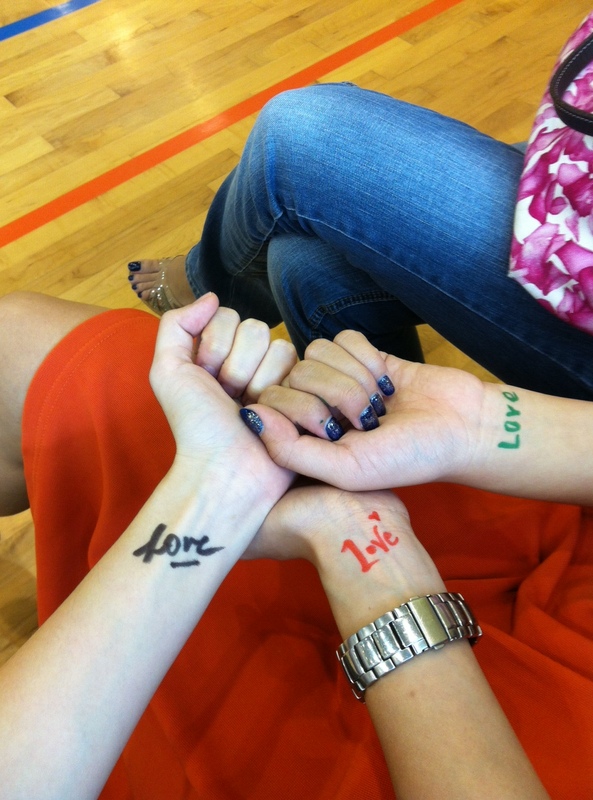 I happen to be a talk my friend was giving on the 10th and at the end of the talk, he led everyone in a moment to remember Suicide Prevention Day by writing the word LOVE on our wrists. Some of the students at the talk asked if I had lost anyone to suicide, I have- unfortunately. A young life, gone too soon. An older one that saw no future. This entry was posted in date to remember, life, life learnings, online resource, world affairs and tagged life, september 10th, suicide, suicide prevention, world suicide prevention day by matchingsocks. Bookmark the permalink.